Pro storage unit with 6 holders each for free weight plates and bars at a reduced price! 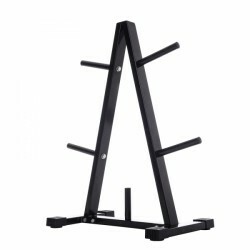 The Taurus weight stand convinces by a compact set-up dimension and an excellent workmanship. The Taurus weight stand features six holders for weight plates, on which you can neatly arrange your weight plates. 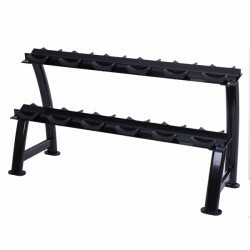 The high-quality weight plate stand with seven weight plate holders at a special price. 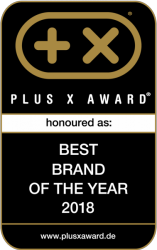 The matching dumbbell stand for the Taurus dumbbell SelectaBell. 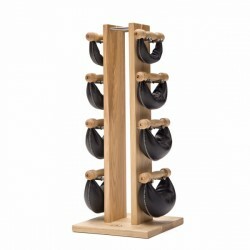 The NOHrD Swing tower ash with weights comes in an appropriate set including Swing dumbbells. 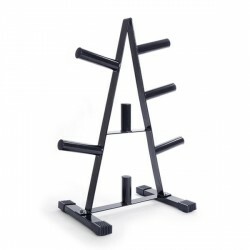 The set is very nice and offers functional training features. You train with hand-made leather dumbbells, which are filled with mobile iron granules. The wooden stand is available in five different types of wood and in two weight levels. It is available in ash, club-sport, oak, cherry, and walnut as well as from 1 to 6 kg or 2 or 8 kg. The Taurus medicine ball stand Pro offers space for 10 medicine balls from 1 to 10 kg. Thanks to pyramide-shape arrangement, all medicine balls are always at hand. 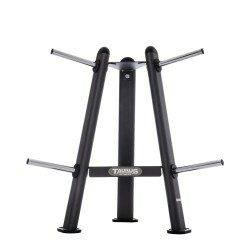 The Taurus weight stand can take up to 20 training weights. The weight stand is of sturdy workmanship and of great stability thanks to large feet. 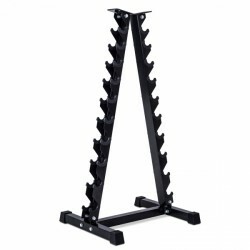 The Taurus dumbbell stand is a sturdy rack for 10 dumbbells. The sturdy frame and the plastic cups offer a clear possibility to store weights. 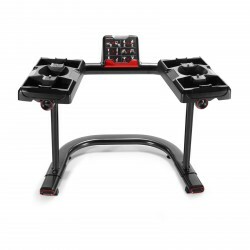 The Bowflex SelectTech weight stand is the practical accessory for the Bowflex weight set 560. The stand is characterised by a precious design and its high-quality workmanship. In addition, the stand has a spacious table holder in the middle. 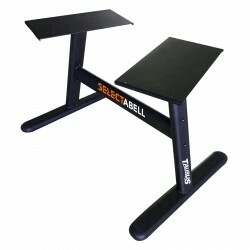 I highly recommend Bowflex SelectTech BF 1090Dumbbell Set Dumbbell Stand. The adjustment mechanism works perfectly and everything makes a very high quality impression. In my opinion the stand is mandatory. It makes the back-friendly training possible. It saves space and very easy to use. I am very satisfied with my purchase. 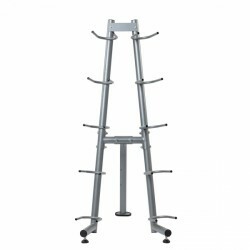 Plate stands and weight racks serve the order in your fitness room. Weight plates, bars, and dumbbells should not lie around disordered. Weight plates which are not required for your workout should be put away for a safe and undisturbed workout. A weight rack or plate stand is recommended for storing. Either 30mm weight plates or those of 50mm - find the appropriate weight plate stand for your training equipment at T-Fitness - as well as for your dumbbells: space saving dumbbell stands and spacious dumbbell racks keep it in order and upgrade each fitness room. Practical rack systems for Kettlebells and medicine balls can be found in our range of products. It is a complete offer of storage systems all concerning strength training for fitness training at home or for gyms.